This round coin purse, new for Cruise 2019, is cleverly designed to wear on Bottega Veneta handbag straps and belts via the leather loop on its back panel. Crafted in the Intrecciato Checker workmanship, it can add a graphic touch to any look. 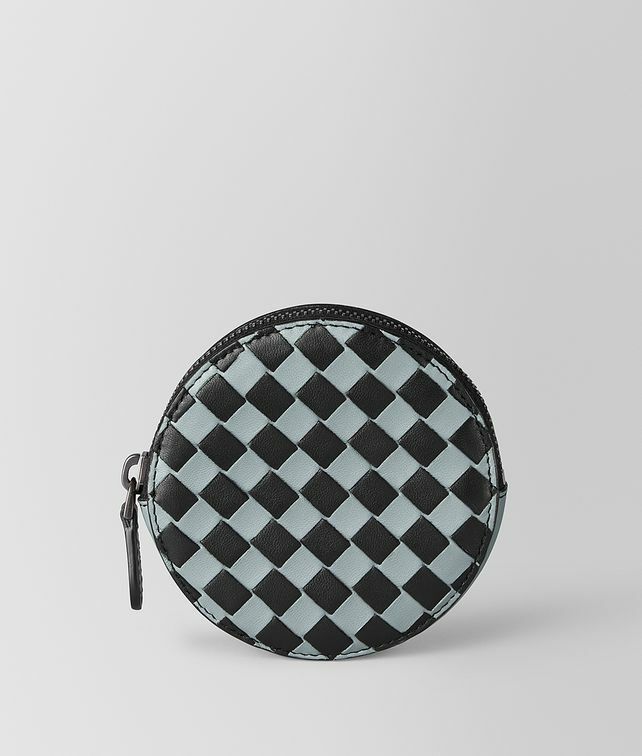 The coin purse is large enough to carry cards and bills, as well as coins. The hand-painted edges and seams are rendered in black, allowing the color of the leather to pop.